Meeko is a raccoon and one of Pocahontas' animal friends. He is sly, very greedy and loves to steal from anybody. He is usually seen with either Flit or Percy. He's annoying but so cute! 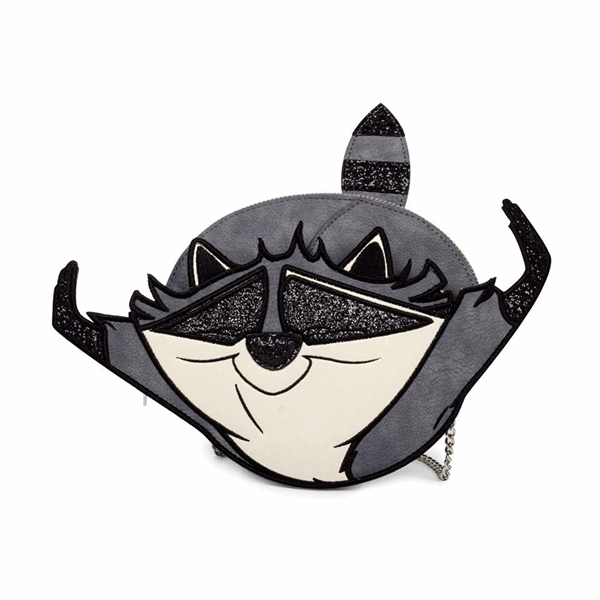 The new Meeko Crossbody is inspired by Disney's Pocahontas.